Two weekends ago I felt I was in New Orleans all over again. Yet, again, I was in Brooklyn New York. 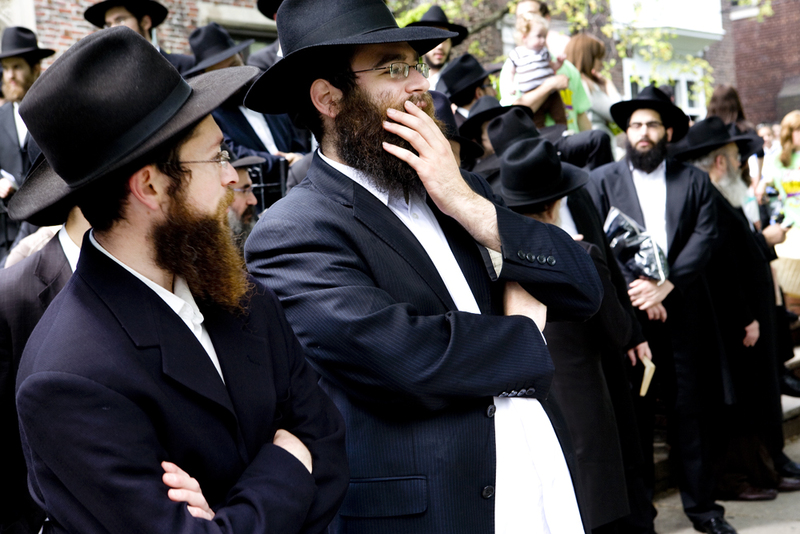 In Crown Heights to be more specific, the Chassidic Jewish neighborhood. I was taking photos for an Italian wire service even though my shots never ended up in the papers since the bomb found in Times Square definitely stole my spotlight. 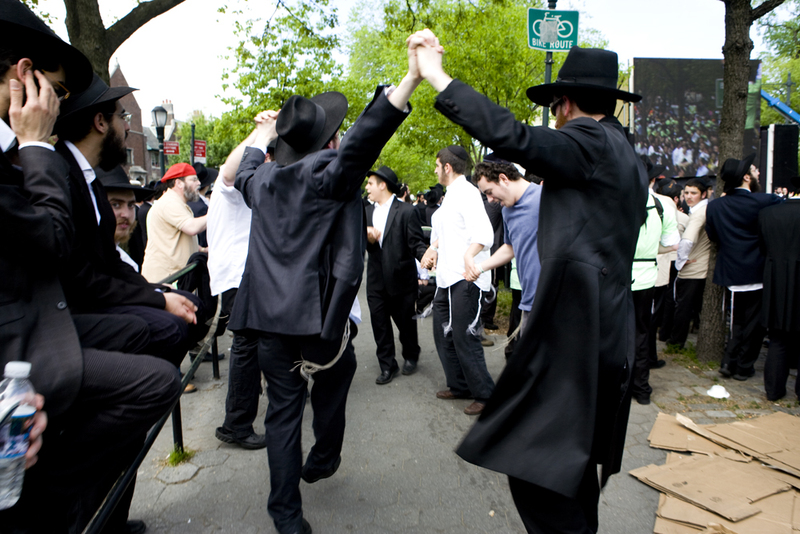 In any case, I was at the Great Parade, a once-a-year event, which takes months in the making and attracts something like 20,000 people from Jewish communities (religious or not) as far away as Oregon to show what it really means to be Jewish and why this religious choice is one of a kind. 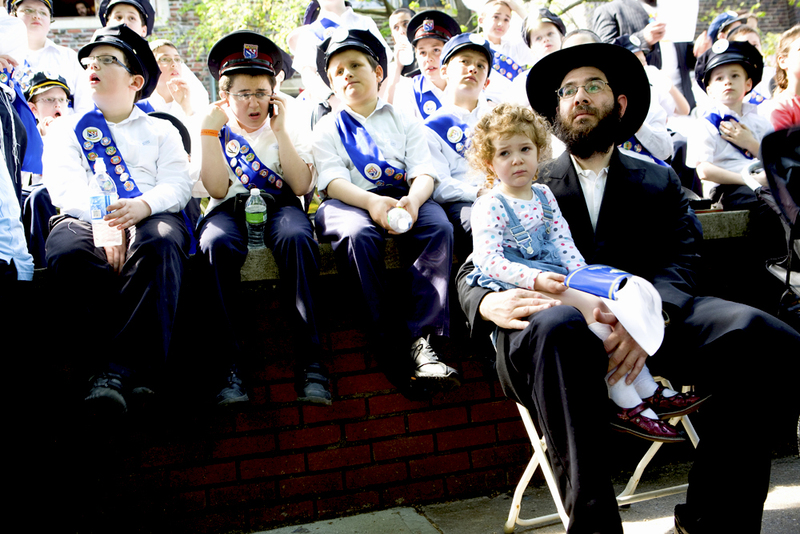 Now, yes, my photos lately have shown my most current interest in depicting what I have been curious to discover for year: Who are the Orthodox Jews of New York, the biggest Jewish community in the world? 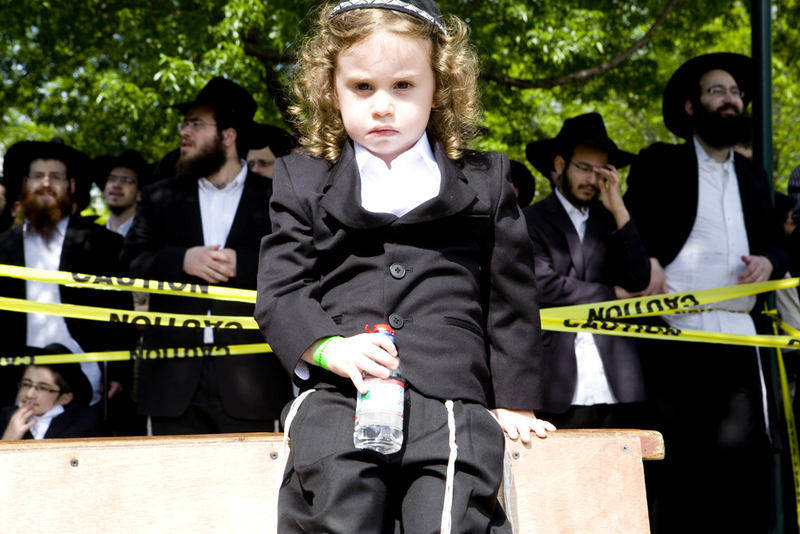 And why we (non religious Jews) should not be AFRAID of getting to know them? The more I get to know them, the more interested I have become to discover more about their traditions and costumes. 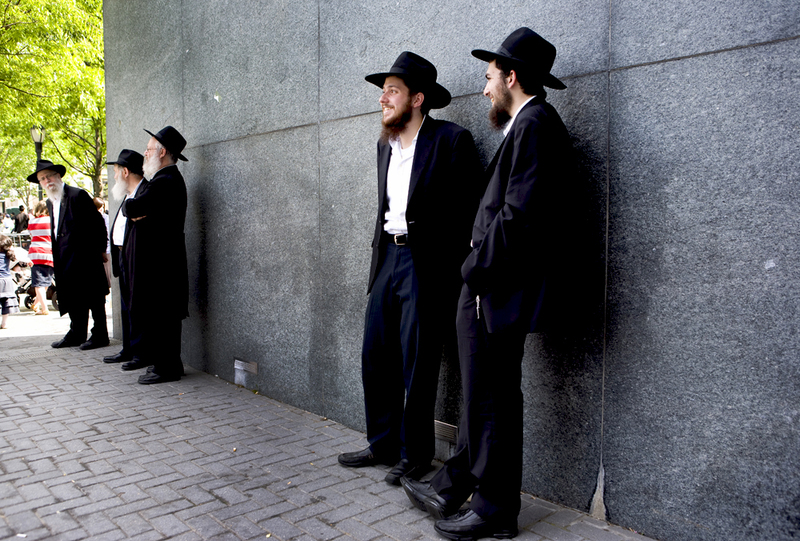 Even though these people may “appear” similar in their outfits and their strong religious beliefs, there is something that defines them as much as individuals as the different color of beards. I hope the voyage I am beginning within the community will bring me to get to know each one of them singularly. 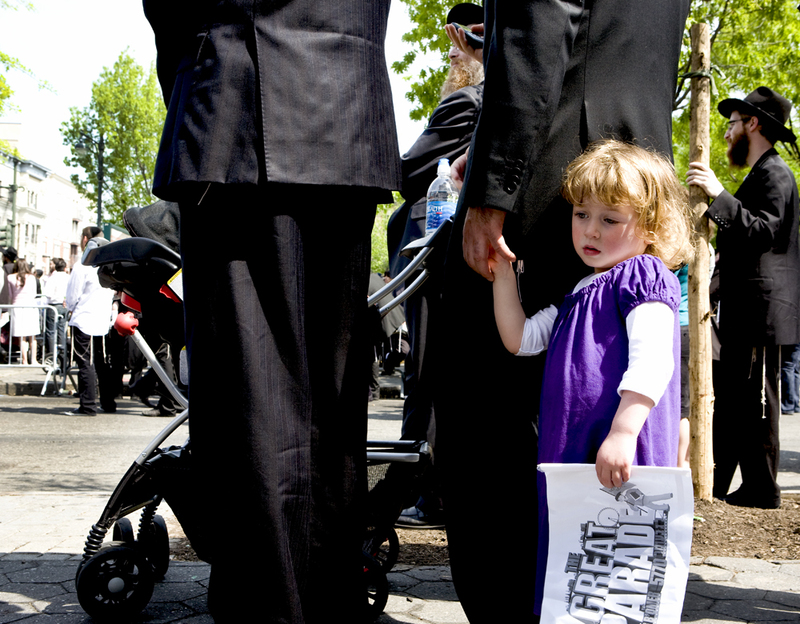 And, I am hoping my photos and the stories (visual and written) that I will collect will bring my desire to re-connect with my Jewish roots to rest. 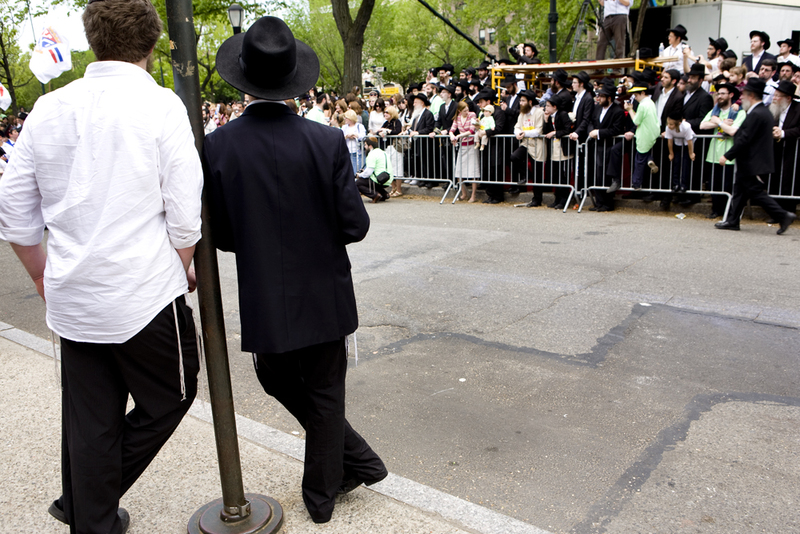 Never would I have thought, peaking out of the subway at 9am on a Sunday morning, I would have seen so many people wearing black hats blocking Eastern Avenue (one of the busiest streets in Brooklyn) despite the temperature was nearing the 80’s and some of the youngest Yeshiva students had been building their floats until 4am the night before. 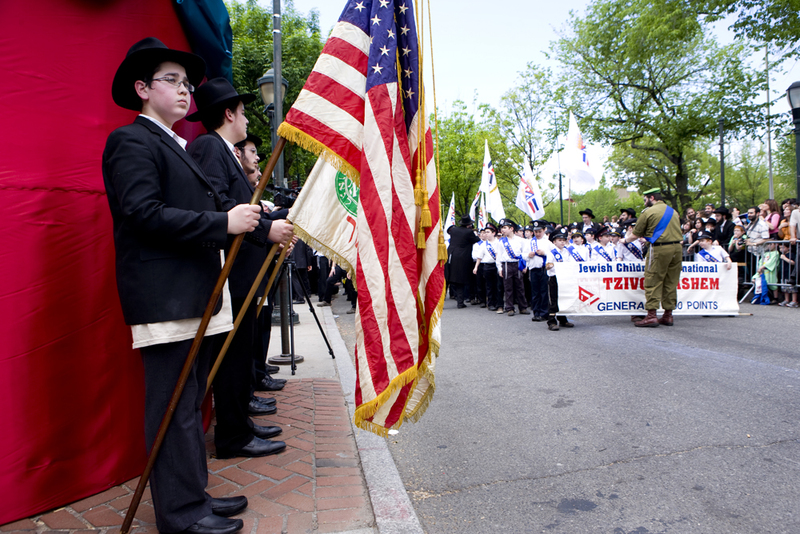 To an outsider, like myself, the Great Parade looked like an event organized to show Jewish pride and to vow to the Jewish rules to which each one of the Orthodox bases their lives. 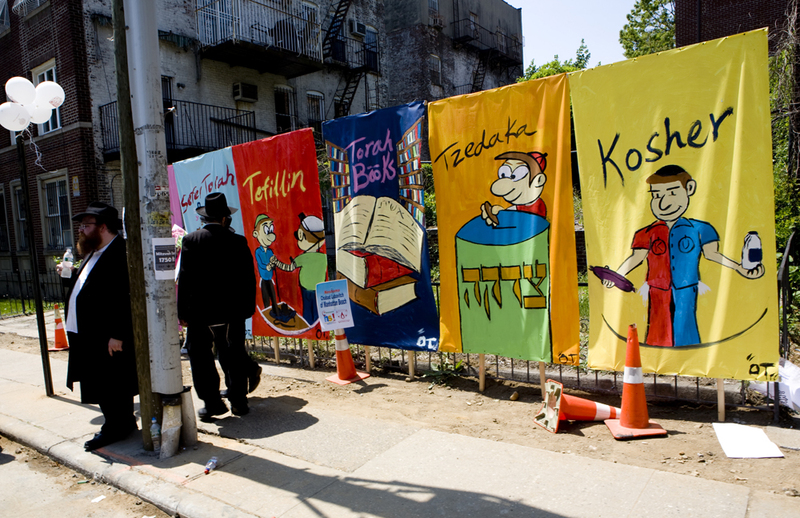 “No Jews will be left behind” said another float depicting the 770 synagogue where the 7th Lubavitcher Rebbe used to speak from. 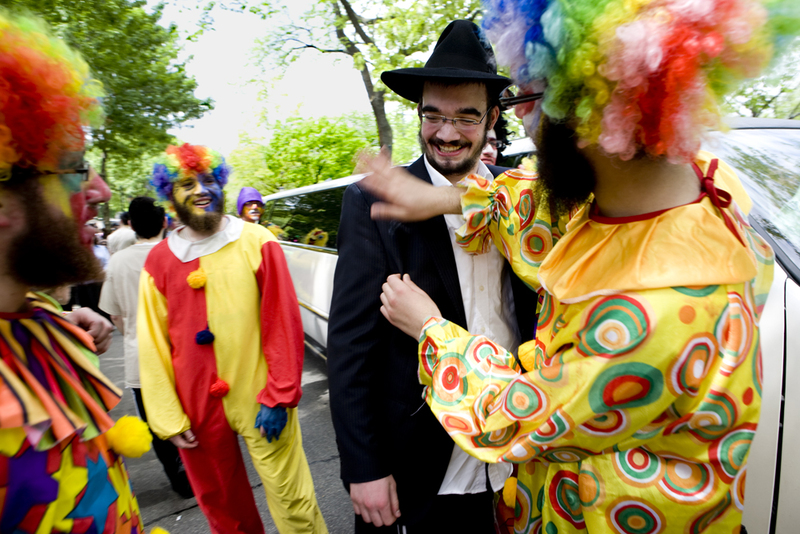 Not to mention the clowns rolling out of a white Limousine and contagiously and joyously filling the parade with colorful costumes and lots of laughters.